Richard is a regulatory attorney and litigator who helps companies resolve complex gaming law, data privacy and healthcare issues affecting their businesses. Since joining Taft in 2013, Richard has helped casinos, terminal operators, gaming equipment manufacturers, and video game businesses resolve legal matters arising under the Illinois Video Gaming Act and other gaming regulations nationwide. Richard has also helped clients successfully challenge the constitutionality of other local gaming laws. Richard’s comprehensive knowledge of gaming law issues and successful track record assisting terminal operators and gaming companies are among the reasons why he was honored as Top Gaming Litigation Lawyer for Chicago at Corporate LiveWire’s Excellence in Gaming Awards in 2016. In addition to gaming law issues, Richard’s practice also covers data privacy, commercial litigation, labor and employment litigation and compliance, regulatory compliance defense, healthcare regulatory litigation and compliance, and medical cannabis licensing and compliance. Richard uses court-tested strategies to help his clients obtain temporary restraining orders, defeat motions to dismiss, and obtain injunctive and declaratory relief. Richard also has experience using cost-saving eDiscovery tools and tactics that help reduce his clients’ litigation costs without sacrificing results. Richard is also experienced in peer reviews, privacy policies, business associate agreements, the Illinois Biometric Information Privacy Act and HIPAA/HITECH issues. Richard is also just as active in his legal community outside the courtroom as he is within it. Richard actively writes about a number of gaming and labor law issues, and has been published in Workforce Magazine and Workforce.com, the Chicago Bar Association Record, and the Illinois State Bar Association Business & Securities Law Forum Newsletter. 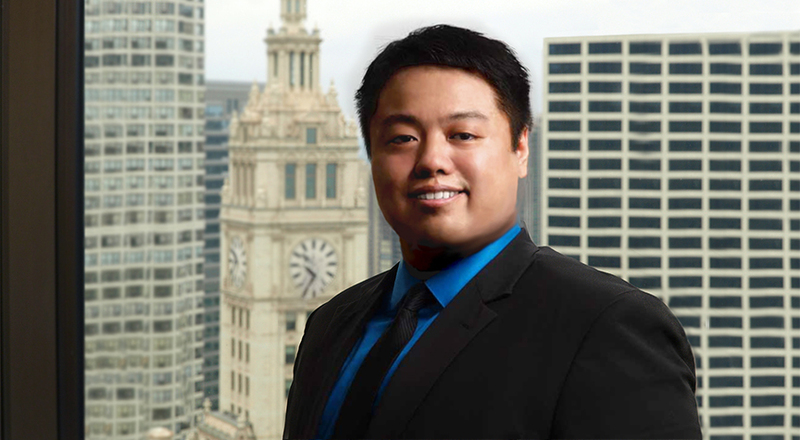 Richard is also a member of the Chicago chapter of Taiwanese-American Professionals, where he formerly led the organization’s leadership and development committee. Richard received his J.D. from Northwestern Pritzker School of Law, and his B.A. from Emory University. Richard has also been recognized as an Honoree, Rising Star by Illinois Super Lawyers and as an Honoree, “Emerging Lawyer” by Leading Lawyers Network for his professional reputation, ethical conduct and experience. Awesome Hand Services, LLC v. Fire Bar Incorporated, Case No. 16 CH 07920 – successfully obtained a temporary restraining order against an establishment on an agreement for future video gaming operations executed before the Illinois Video Gaming Act’s passage. Triple 7 Illinois, LLC v. Gaming & Entertainment Management – Illinois, LLC, 2013 IL App (3d) 120860, appeal denied (Nov. 27, 2013) – in this leading gaming case, successfully represented the defendant in the denial of certification by the Illinois Supreme Court. Sembs, Inc. v. Gaming & Entertainment Management – Illinois, LLC, et. al., Case No. 118030, appeal denied (Sept. 24, 2014) – successfully represented the defendant in the denial of certification by the Illinois Supreme Court. Illinois Coin Machine Operators Association, et. al. v. The County of Cook, et. al., Case No. 13 L 050995 – successfully defeated a motion to dismiss and continuing to challenge the Cook County Gambling Machine Tax’s constitutionality. Represents numerous terminal operators in litigation across the state arising in the video gaming industry and under the Illinois Video Gaming Act, procuring injunctive and declaratory relief. Represents public utility company on compliance matters in municipal administrative hearings. Represents the City of Chicago on matters before the human resources board. Represents physicians before the Illinois Department of Health and Family Services. Represents families in trust and loan matters, procuring judgments in excess of $1.5 million. "The Illinois Biometric Information Privacy Act: Aggrieved or Not Aggrieved – That is the Question,” Privacy and Data Security Insight Blog, October 31, 2018. "Matter of Life or Death or Disability," Workforce.com, February 26, 2015 (with co-author Cary L. Donham). "401(k) Plans: With Great Power Comes Great Responsibility," Workforce.com, October 27, 2014 (with co-author Rachel Schaller). “Sometimes It’s Not All About the Benjamins,” Workforce.com, October 24, 2014 (with co-author Rachel Schaller). “New Rules for Discovery of Electronically Stored Information,” Illinois Bar Journal, Vol. 102, No. 2, October 2014 (with co-authors Gabriel Reilly-Bates and Claire Brennan). “Temps Can Cause Legal Headaches,” Workforce Magazine, October 2014 (with co-author Rachel Schaller). “Avoiding the ‘Bermuda Triangle’ of Employment Law,” Workforce Magazine, March 2014 (with co-author Heather A. Jackson). “The Legal Traps of Recruiting, Hiring,” Workforce Magazine, February 2014 (with co-authors Cary L. Donham and Heather A. Jackson). “Train Your Staff on Complaints,” Workforce Magazine, January 2014 (with co-authors Cary L. Donham and Rachel L. Schaller). “Delivering Holiday Bonuses? Remember These Rules,” Workforce Magazine, December 2013 (with co-author Rachel L. Schaller).